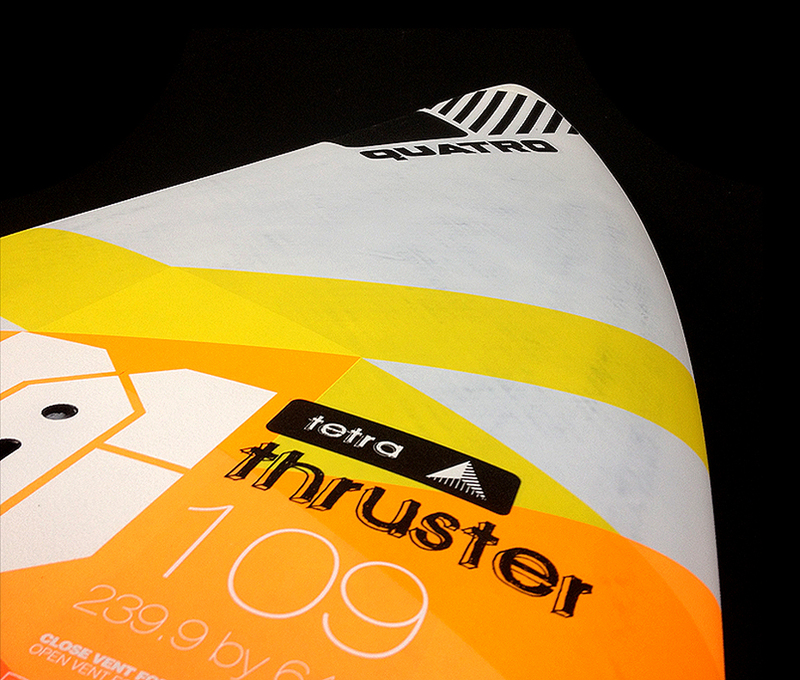 Keith Teboul: “The all new Tetra is a universal Freewave board. 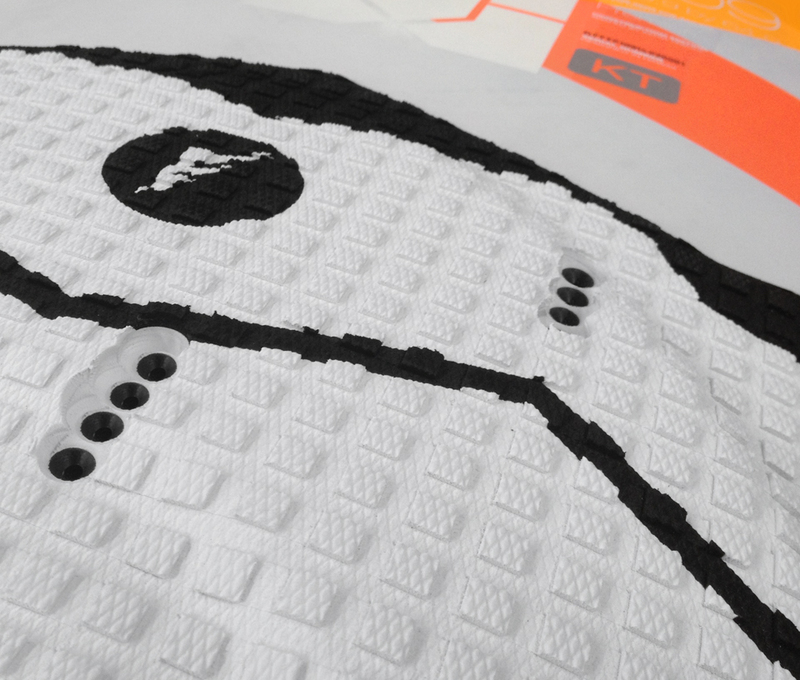 The fastest and most comprehensive board in our current line. It offers a smooth entry with minimal tail rocker for super early planing yet, in its own right, it’s a truly playfully turning board. 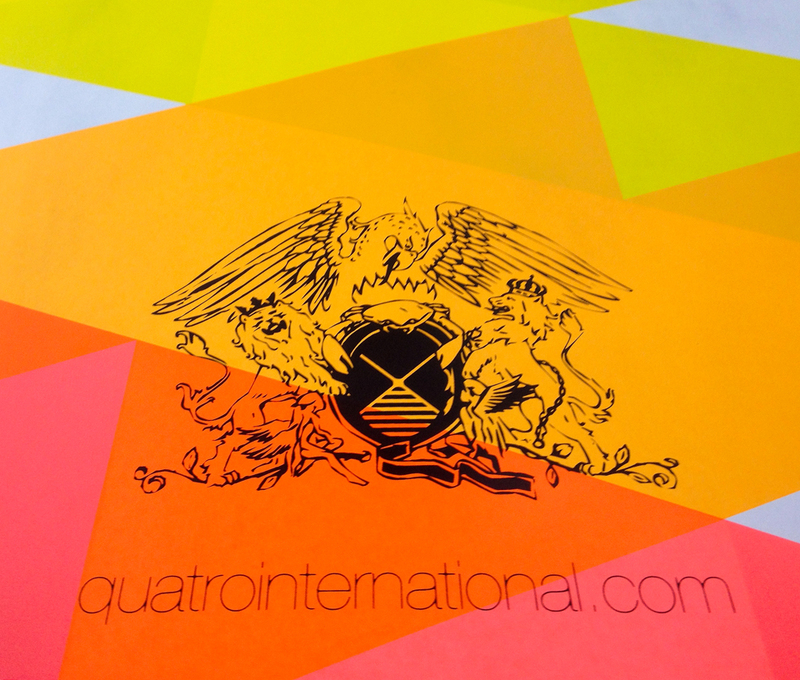 The Quatro Premium Construction offers a wonderful blend of superbly light weight, very high impact resistance and that famous lively Quatro feel. 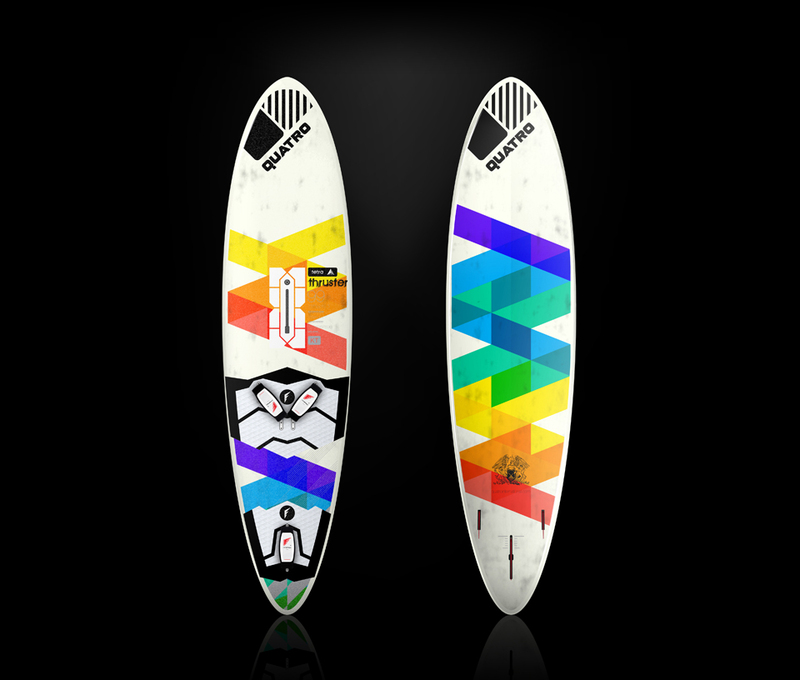 This Quatro windsurfing board comes with the latest MFC straps, featuring lush quality neoprene and a pleasantly soft inner sole. 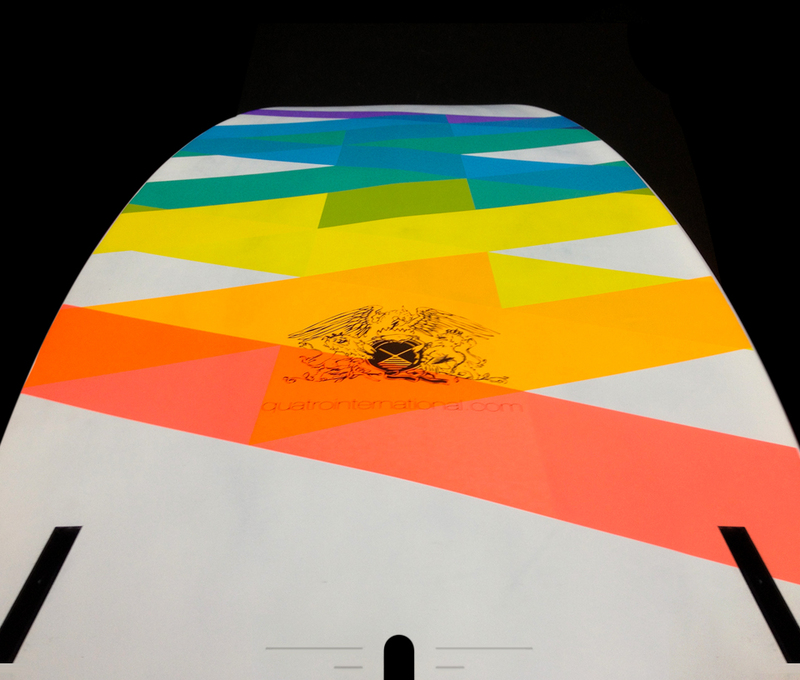 This Quatro windsurfing board comes with MFC pads of varying thickness levels, giving you cushion under your heels and perfect grip throughout. 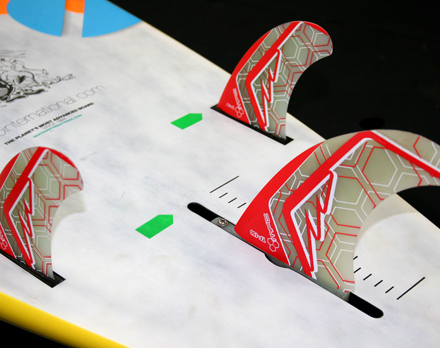 The TF is MFC’s staple Thruster fin setup. Staple as in everybody is using it. 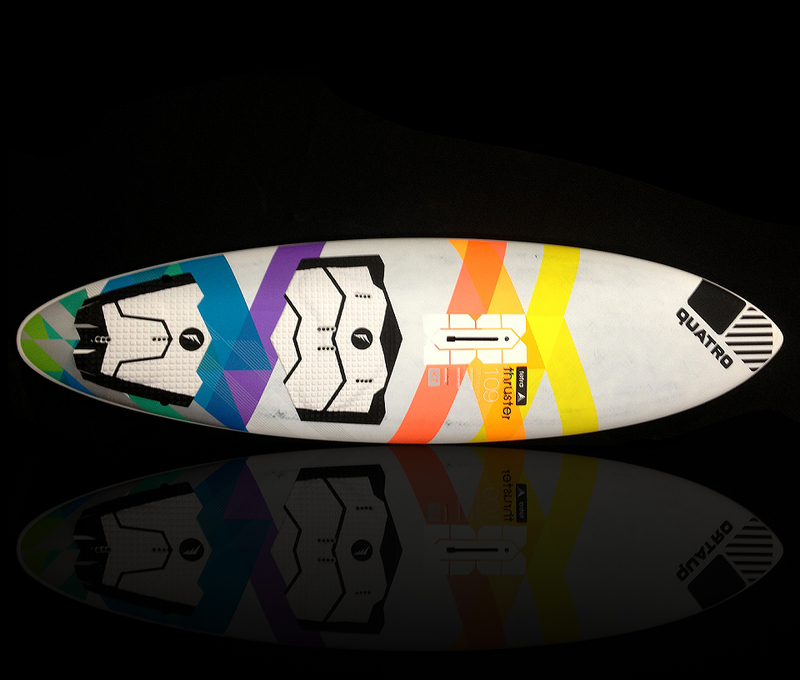 From the biggest names in the PWA and AWT to legions of sailors all over the world, this is the ultimate modern Thruster setup.